OLOWOF Inc are very happy to announce a “Concert For Country” on Australia day at the Breeza Hall. 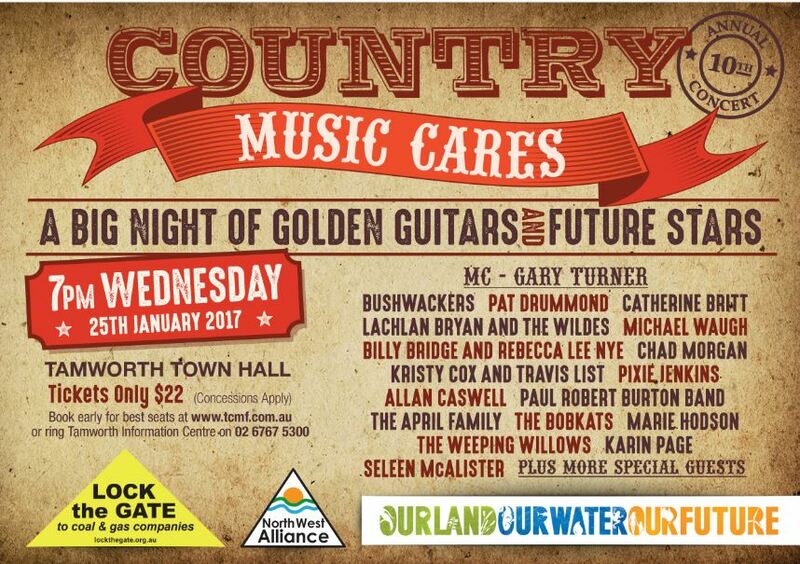 A wonderful group of musicians including gold guitar winner “Luke O’Shea” , legendary Northern Rivers singer songwriter “Luke Vassella” , travelling bard and activist “Paul Robert Burton” , Michael The Living Poet, Tom Avery “Black Boi”, Tom Coulson and more to be announced. This is a free event open to everyone and in support of all good people fighting to protect Our Land Our Water & Our Future. Supported by key groups in the region and focusing on protection of Water, Environment, Agricultural Lands and Cultural Heritage.